I'm going to sleep for a day, now. You would think they would of brought something stronger. It's just the local precinct - first response. A rubber bullet gatling gun? Thats the most lethal non lethal deterrent I've seen. I guess that cop doesn't know how effective they can be...even more so at 600 rounds a second. Unity's unarmored cyborg soldiers are immune to actual bullets, remember... and these are Unity's armored soldiers. Well, you won't need to remember it. Sunday they fire the gun and it bounces off. You're just one page fast. Because it's a planet full of 800 pound elephant people, and they tend to ignore the first few polite little rubber bullets? A startling vision of things to come! Kax definatly has bigger ones than I do, I wouldn't want to be that close to an orbital strike. At least I got the laser designator part right. That's a pretty damned accurate orbital strike laser cannon. . . no fucksplosion or anything. Could have been a Kinetic strike. A pure slug of Iridium would probably leave a nice trail of plasma on the way down. Plus you wouldn't have an energy trail. Nah, iridium or uranium round, even a single kilogram dumb round would level the block. I used to run grim math scenarios for science projects in middle and high school. My favorite was on quantifications of WWII casualty statistics (body mass and volume killed, average characteristics, statistical characteristics associated with casualty, etc.) followed by weaponized kinetic rounds and natural disasters. Scared the crap out of the teachers, but my presentations were always the most popular, which also independently scared the teachers. Math to follow. A one kilogram dumb round, ceramic jacket, fin stabilized, length maybe ten to twelve times the radius, with assisted thrust to bring it up to around 20 km/s which isn't much(<i>controlled</i> reentry for the space shuttle started at 7.7 km/s at a 42 degree angle) coming in at a ninety degree angle (straight down) would leave something like a 100 meter wide by 40 meter deep crater depending on the rock. There would be a 90 foot fireball and thermal radiation deadly out to about 500 feet, an optical flash about fifteen times as bright as the sun. Even at half a mile, you'd have a 90 mph wind gust, not to mention the radiation pulse off the impact would fry anyone inside maybe half a mile(assuming the round punched into the ground which would absorb most of the radiation which is best case scenario). So, no, definitely not kinetic. Reminds me of some info from my other favorite sci-fi comic. Along the lines of "even a tinfoil cone is a deadly weapon at relativistic speeds." My actual guess, very very strong x-ray laser. Ionization, barometric effects, localized thermal as an insanely high gradient. Basically a lightning strike and laser strike in one with higher efficiency than optical laser. Plus, angle has less impact on effect other than punching through more atmosphere so it's more practical that way as well. 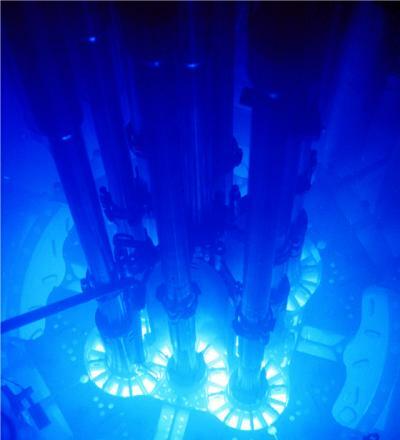 And it explains the ionization glow, which sure as heck isn't going to be Cherenkov radiation or this would be a different kind of story entirely. Edit: Ionizing glow, btw, is blue just for future reference. Hey hey, Angel of Pity is good. It's also why I tried very hard to establish the city as yellow, so the blue would be a clear contrast. As for the blue light, it's something that happens in a lot of sci-fi and even in real life too ! After about a week of reading, I've finally caught up, HOORAY! It actually looks more Appleseedy, but yeah. Never watched the Appleseed series, how good is it? The comics are very good. Same artist as Ghost in the Shell. Never seen Appleseed either - Sounds like something I should check out.